I have shared Cabbage and Beans thoran recipes earlier but I have to admit that I find the Beetroot Thoran the prettiest and the sweetest! I was not a fan of Beetroot while growing up. My parents had their own views on Beetroot with one preferring to boil it for salads and the other preferred it raw. My mom used to make a Beetroot and Green peas Sabzi that I was never too fond of. There was never one way of cooking it at home. So sometimes I liked it and at other times not so much. I have recently experimented with using Beetroot leaves in a dal instead of Palak and my respect for the vegetable has definitely gone up since. Dal with beetroot greens was a pleasant surprise but before I got to experimenting with beets, the Beetroot thoran was a good initiation into dishes made using the root vegetable. I began making thorans around 3 years ago when I attempted making a Sadhya meal for the first time. One of the first times I actually tasted a thoran like dish was probably in Bangalore at my Sister’s place when one of her Tamilian neighbours came home with some homemade food. I think she brought a plate with a bowl of Sambar, a Moringa leaves stir fry and a Beans thoran with some poori maybe. The food was delicious! While the Sambar was something that was all too familiar, the Moringa leaves stir fry was unique to me. Even though I grew up with a Moringa (Swanjhaney ke fali ka pedh) tree leaning into our courtyard from our neighbours house, I had never had a preparation made of its leaves. But it was the Beans thoran that seemed very doable and I thought I would definitely make it on my own someday. Married to a Keralite now, I make a lot of South Indian inspired dishes now and shredded coconut is something that is always in my freezer. After making Cabbage thoran and beans thoran, I gave Beetroot thoran a try and am glad I did! Chop the onions and ginger and slit the green chilli into two long halves. Wash the curry leaves and keep aside. In a heavy bottom kadhai, add oil and wait for it to heat.Once the oil is hot, add mustard seeds and wait for them to splutter. Next, add the chana dal followed by the urad dal. Cook the dals for a few seconds till you see their colour change.Add the chopped ginger, curry leaves and green chilli next. Cook these for 2 minutes on medium high heat. After this, transfer the shredded beetroot in the kadhai and stir well. 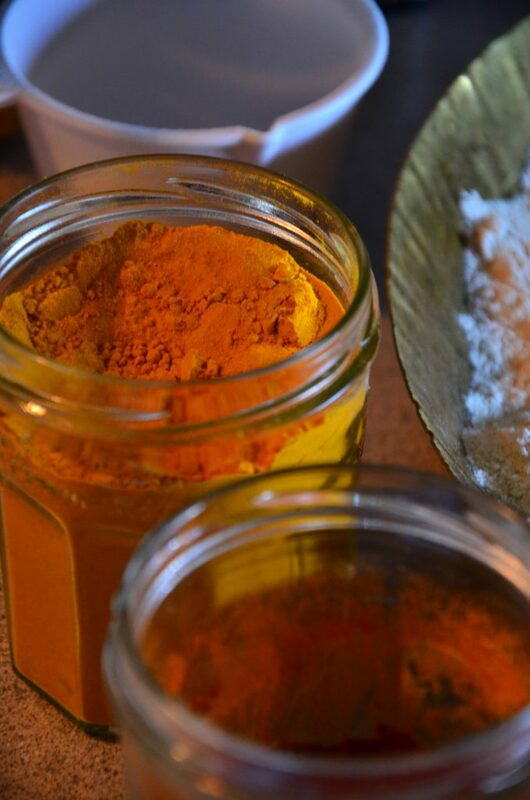 Throw in the turmeric, red chilli powder and salt according to taste and stir some more to incorporate. Now, cover the kadhai and cook for 5-7 minutes on medium low heat. You may need to stir the contents once in between. The beetroot should have wilted a bit after 5 minutes of cooking. So now you can add the shredded fresh coconut. Stir well to mix it in the stir fry. Finally, cook the contents in an open kadhai for another 5 minutes. 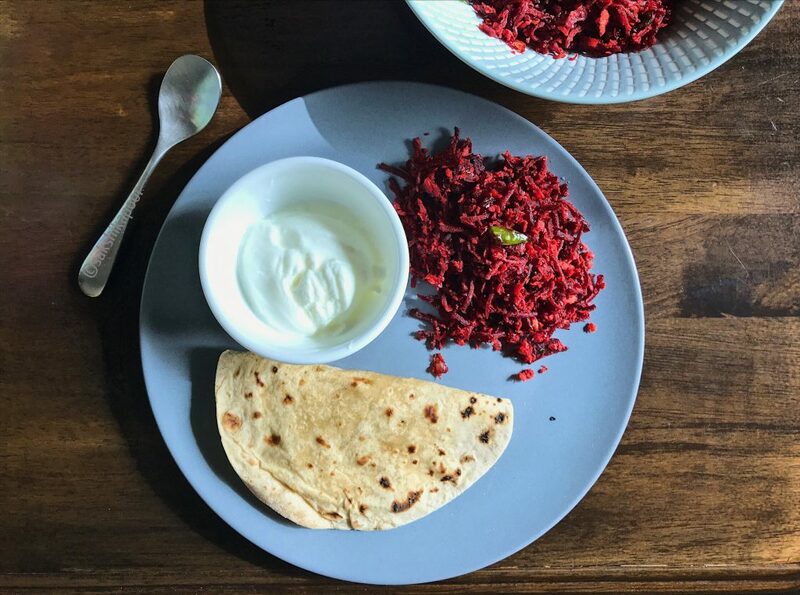 Serve Beetroot Thoran with roti, rice or as part of a Sadhya meal with Sambar, Pachadi and Pulisseri. Recipe for the prettiest Thoran there is! 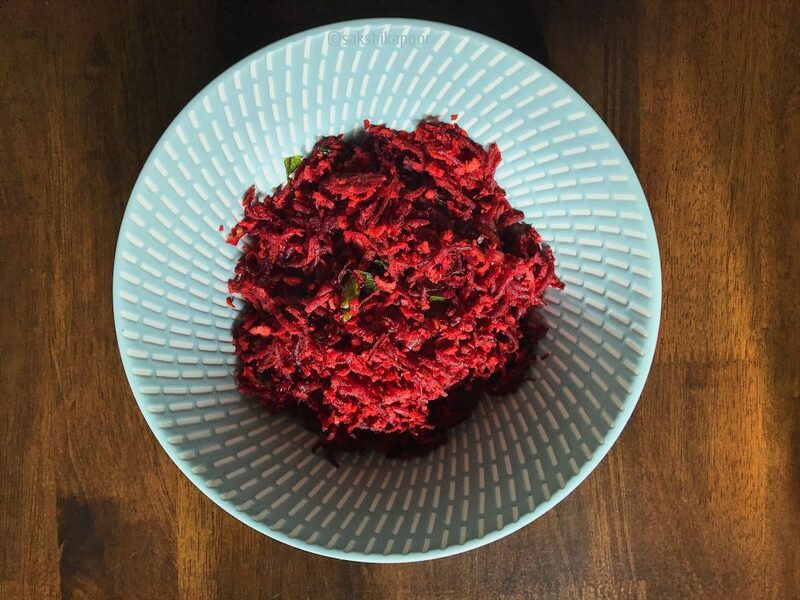 An easy beetroot and coconut stir fry, Beetroot thoran is a great addition to Sadhya meal for Onam or Vishu. Start with washing and peeling the beetroot. 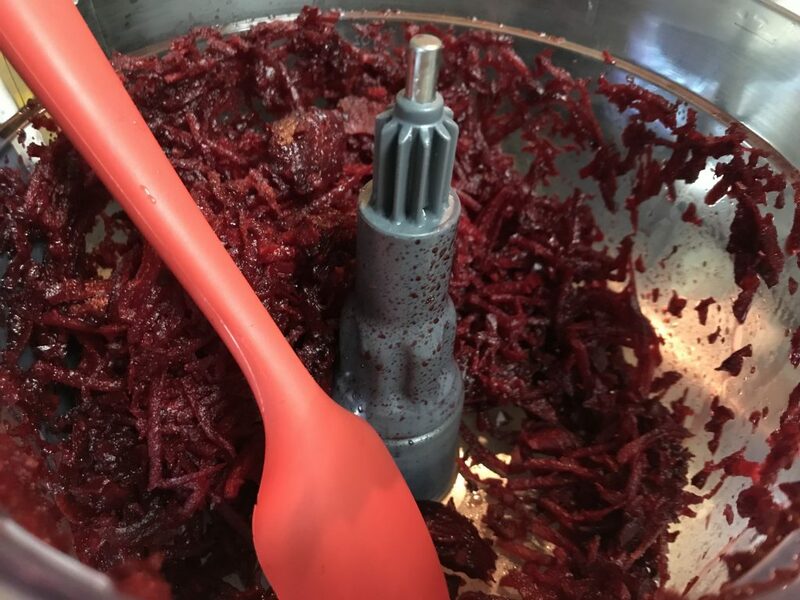 Shred using a box grater or a food processor. In a heavy bottom kadhai, add oil and wait for it to heat. Once the oil is hot, add mustard seeds and wait for them to splutter. Next, add the chana dal followed by the urad dal. Cook the dals for a few seconds till you see their colour change. Add the chopped ginger, curry leaves and green chilli next. Cook these for 2 minutes on medium high heat. After this, transfer the shredded beetroot in the kadhai and stir well. Throw in the turmeric, red chilli powder and salt according to taste and stir some more to incorporate. Now, cover the kadhai and cook for 5-7 minutes on medium low heat. You may need to stir the contents once in between. The beetroot should have wilted a bit after 5 minutes of cooking. So now you can add the shredded fresh coconut. Stir well to mix it in the stir fry.